4G LTE is the fastest commercially available wireless data standard, but as travelers will attest, fragmentation between the world's more than LTE-supported 40 frequencies means that it's not universal in the U.S. and Europe. 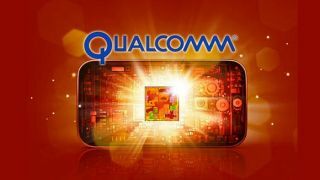 Qualcomm, the third-largest semiconductor producer in the world, is looking to put an end to all of this 4G LTE roaming, which bumps travelers down to 3G, and it wants to begin solving the problem as early as this year. "LTE is the first technology that's embracing all the regions at the same time but on the other hand, LTE is a challenge to handle all the different spectrum from region to region and even from country to country," di Pietro explained to us in a chat at MWC 2013 this week. Qualcomm's solution is its RF360 Front End Solution chipset, which is a single, global 4G LTE design for mobile devices. "We really want to have a single device to [handle] all this spectrum. RF360 is the first step towards the global roaming dream. You can have a single device. This was one of the bottlenecks preventing the [widespread] adoption of LTE. Our customers can utilise a single platform, rather than developing 3, 4 or 5 [globally]." Qualcomm hopes to mitigate the 4G LTE fragmentation problem while improving radio frequency performance. The company also wants to help OEMs develop multiband, multimode devices that support all seven cellular modes: LTE-FDD, LTE-TDD, WCDMA, EV-DO, CDMA 1x, TD-SCDMA and GSM/EDGE. Qualcomm's global chipset with LTE carrier aggregation would make 4G phones compatible throughout the U.S. and Europe, however carrier compatibility would still be an issue. Networks haven't laid out their plans for roaming agreements over 4G when customers travel abroad, notes CNET, so using an existing number and contract wouldn't be feasible even with a global 4G LTE phone. Popping in a foreign SIM card, however, would be possible once Qualcomm's RF360 chipset makes it to market in the second half of 2013.